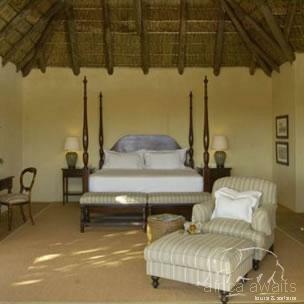 Blaauwbosch Private Game Reserve Lodge is a discrete collection of thatch roofs in a crisp unspoiled landscape. Set in the heart of the Malaria free foothills of the Winterhoek mountain range in the Karoo, Eastern Cape, the lodge is newly established but is mindful of the sensitivity of its location. The reserve offers a unique and private experience where guests can relax in comfort. Blaauwbosch Private Game Reserve Lodge's luxurious chalets are spacious, air-conditioned and have their own dressing rooms, full bathrooms, verandahs and mountain views. Kaai’s Camp has four rooms and sleeps a maximum of 8 people. It is smaller than Blaauwbosch Main Camp and is nestled in between two large mountains with magnificent views down a valley. The camp is thatched with spacious rooms and bathrooms with separate toilets, underfloor heating throughout, air conditioning, outdoor showers and decks. The luxury accommodation is spacious and designed to create your own sanctuary. They all have mountain views, generous bathrooms and dressing rooms. At Blaauwbosch private game reserve, beds are not simply made; they are dressed in fine linen with an eye to a private or romantic cocoon in the Eastern Cape. Game drives at Blaauwbosch private game reserve are led by professional rangers. The rangers have extensive big five game knowledge, which means you are likely to view lion, leopard, buffalo, elephant, rhino, cheetah, giraffe, zebra, antelope, abundant birdlife and rare flora on our game drives. This is a birdwatchers paradise and binoculars are trained to spot rare specimens amongst the abundant birdlife. 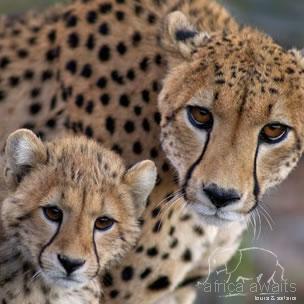 The latest exciting project for the reserve is the introduction of cheetah. Visitors to the private game reserve are also treated to one of Blaauwbosch's specialties - an African wildlife "walk and stalk" safari. This exciting safari involves the shadowing of the fastest of all land hunters, the cheetah, as it stalks its prey. A late and substantial breakfast after the early morning game drive fuels you for the day. South Africans are renowned for loving good food and good wine. The emphasis of the dinner menu is on African cuisine with fresh contemporary flavours and a nod to universally appealing dishes. Guests are encouraged to venture beyond their familiar repertoire of tastes and match food with a fine selection of South African wines. A wild combination of unrivalled splendour and stark contrasts – very few places in the world can rival the magic of the Eastern Cape. Whether you choose to bask in the longest hours of sunshine on the 800km’s of sub-tropical coastline, enjoy malaria-free Big 7 game-viewing, bungee jump off a 216m bridge or experience the warmth of ubuntu in the townships – the Eastern Cape is bound to fulfil your wildest expectations of South Africa. 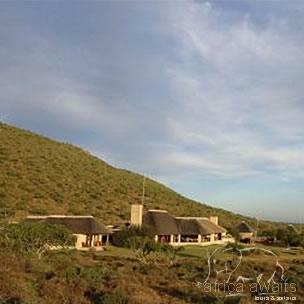 With your holiday, safari or business trip from in to Blaauwbosch Private Game Reserve in Eastern Cape.